Seize the day. Live in the moment. Don’t let opportunities pass you by. Chase your dreams. For all the motivational talk going around it has not become easier to tick things off the bucket list. Leaving family behind; that’s always going to be a clincher. 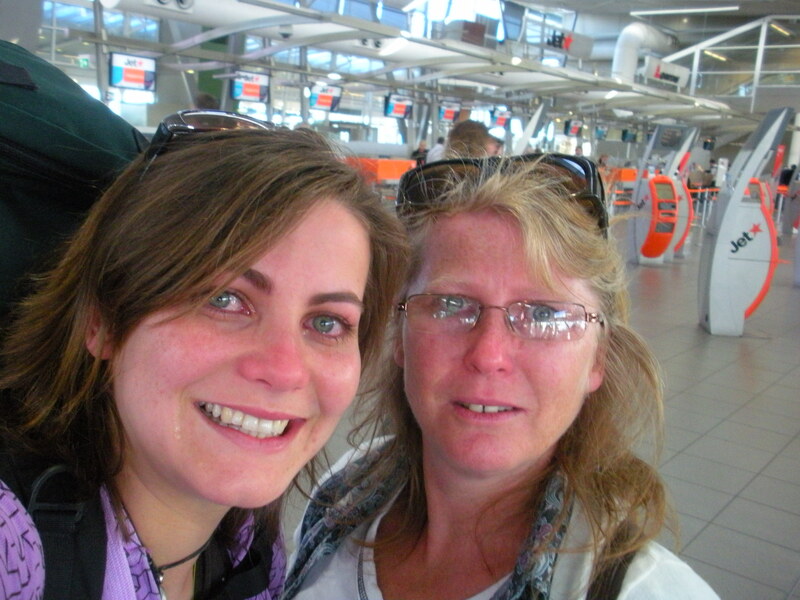 Take a squiz at this photo of my Ma and me before I left for South America. I was 20 and casually heading to the other side of the world by myself. Freaked out doesn’t cover it. And then there’s leaving your mates. Essentially saying ‘well, it’s been nice partying with y’all, but I’m off.’ Stick that in your pipe and smoke it. Leaving work, a house, packing things into boxes and throwing stuff out. Rarely do cheesy slogans tell you what needs to go in different sized boxes. Figuring out how to get your bond back is an entirely different Google search. Posters are more likely to be a romantic ride-off-into-the-sunset, meet-you-at-Machu-Picchu affair. Still, if you are inspired, the practical details will work themselves out. 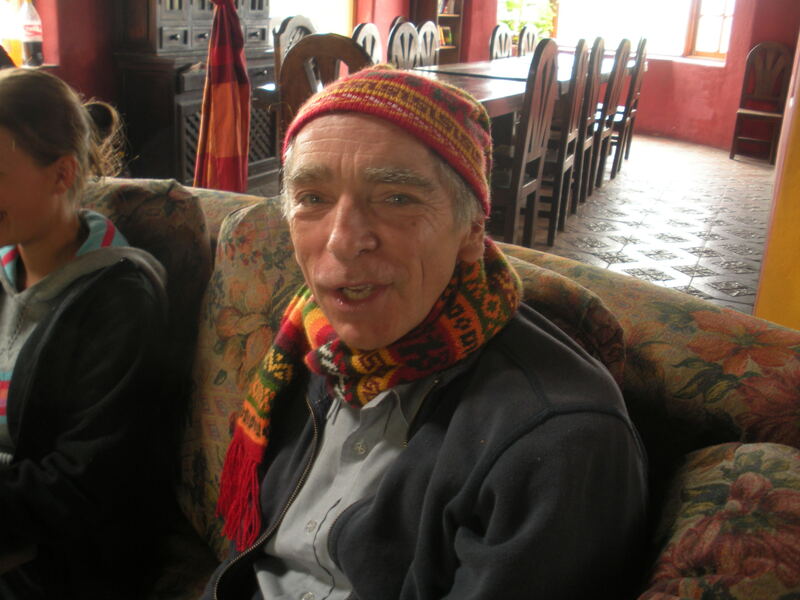 Today’s story is about a man I met in Ecuador. Possibly one of the loveliest, most inspiring and good-humoured men I have ever shared a pot of tea with. 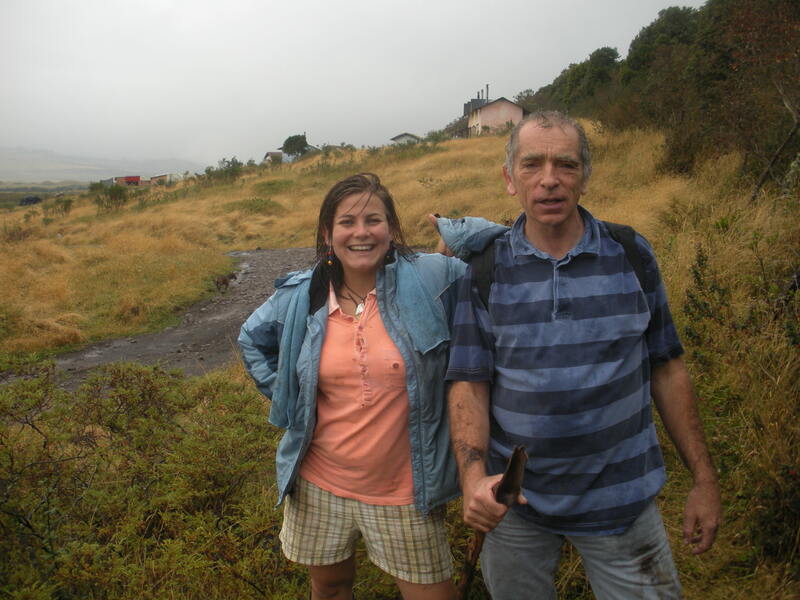 I met Chris (and, yes, that’s his real name) at a youth hostel in Quito. His disposable income, which was definitely heads above the other clientele, made this guy stand out. Plus, he had a wicked southern English accent and was about 40 years older than everyone else. As an engineer he’d ticked off most of the places he wanted to see. He’d travelled to every continent. I recall that he built a dam in Afghanistan and lived in the States for a few years. He’d seen more of Australia than I had. But Latin America had, so far, eluded him. Ecuador appealed to him for its dexterity. In four weeks he’d be able to fit in a few days in dugout canoes in the Amazon, see the mighty Andes (he managed to climb to about 5100 metres in gumboots), and, of course, frolic with the big turtles on the Galapagos. Honestly, Ecuador is one of those afternoons when you manage to combine blue cheese, crunchy crackers, sweet quince paste and a good red. It caters to every sense. So Chris and I met in the hostel and then ventured off to climb a mountain. This man had a serious adventurous streak. Perhaps he is Bear Grylls’ dad? We arrived at the mountain retreat and went on an almighty scramble up a river to see a waterfall. It was a treacherous route with a glacial stream running past us. No worries for Chris. The dude was stubborn enough to make it places a city kid wouldn’t look at twice. Unsurprisingly, Chris managed to keep up with the steady flow of red wine later that night. He was bright-eyed in the morning, perhaps still glowing from telling us all about his Triumph car and motorbike. Both had been bought new and carefully preserved. 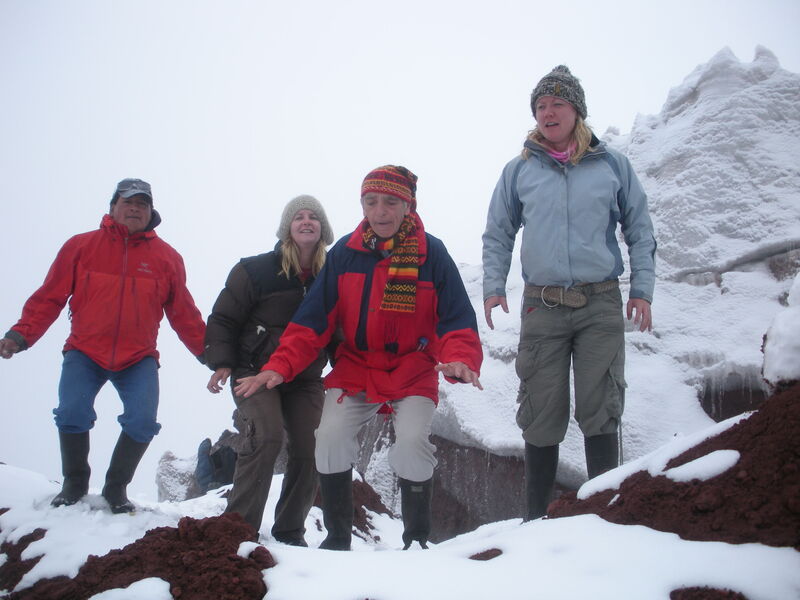 More hilarious tales ensued on the hike up Mount Cotopaxi, one of the world’s highest active volcanoes. We made it to the glacier together. It was a triumph for me, at 20. The look on his face showed the immense satisfaction at making the hike as 60-year-old. Later, we did a coy little swap. I gave him an ugly beanie I had intended for my ex and he shouted me a trip back to town. I think I saved 10 bucks and was thrilled. We said farewell and he headed off to do some hunting with a native tribe. I headed into the forest for some zip lining. On a whim I ended up in the Galapagos. We met again serendipitously on a busy street and told tall tales of mermaid antics with seals. This dude was glowing. I have never seem a man in his 60s look so youthful. He had conquered diarrhoea, altitude, been at sea for days and had done it all on a timetable that would have freaked out the most frantic working mother. So, thinking of Chris still motivates me. If he can see the world, so can I, I think. And look how happy he is – I want that. But what I can’t forget is that there’s no hurry. Don’t forget to live life in between. Don’t live for the holidays. Instead make the routines and everyday moments the stuff of dreams. And those other dreams, the riding-off-into-exotic-sunset dreams, they’ll come too. After all, Chris was a patient man.